And for another 'live' London Bond event announced today...Secret Cinema (who've put together insane immersive screenings of the likes of Blade Runner and more) are taking on Casino Royale next summer. In a secret location, we open up the doors to the iconic world of James Bond, brought to life beyond any film-lover’s imagination. 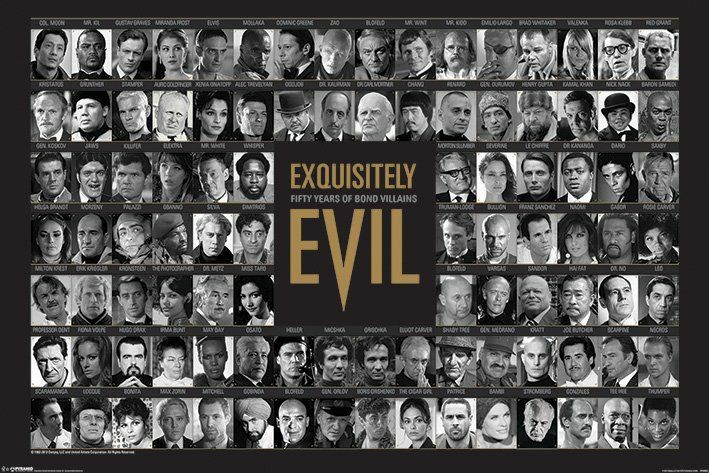 Spend your evening sipping martinis while scoping out the casino or unravel the dark underworld of the most infamous criminal organisation. Witness the most memorable moments spill out of the screen and unfold around you as the night culminates in a unique screening of Casino Royale. This is the closest you will get to living the film. Our experiences explore one of the forgotten pleasures in a time with constant access to information: secrets. What we can promise is 4+ hours of remarkable surprises and pure disbelief. Secret storylines. Iconic locations. Memorable characters. Filmic dreamscapes. Do you need to know/watch the film before you attend? Some choose to study the film religiously to notice the finer details during the night. Others argue that this is the ultimate way to experience a film for the first time. We’ll leave it up to you. Do you need to go in character? Believe us, you will want to. After registering, you’ll be given a bespoke character to dress as. This is your chance to get creative. It’s an impressive sight and you’ll want to be a part of it. To what effort you decide to go is entirely up to you. I’m there. I’m there. I’m there. Impeccable timing from Barbara. This will whip up so much hype for B25. Sigh. USA never gets anything like this. Always wanted to go to one of these events, was this close to buying tickets for Blade Runner but never got round to it...might finally pull the trigger on this though. Booked x2. Surprised more people are not on this thread. Spend their time bitching - then something seminal is announced and radio silence. For anyone who was similarly on the fence about booking because you were debating going solo vs with friends - go at it even if solo. Have spoken to a few others who've done SC in the past and apparently they split groups up anyway usually - everyone gets their own 'storyline' to follow. Group/friends is okay for the queueing to get in and the screening itself at the end of the night. I saw CR in concert with David Arnold at the Albert Hall last year so I wont need to go to this,but I would recommend the experience for sure !! Why do these never come to the US !?! All of the "cool" Bond events are never, ever anywhere remotely close to where I live. I bet this type of screening is a blast to take part in. You are not far from the Spy Museum in DC, which has a Bond exhibit. When I drive cross country with my puppy this summer we're going to swing by and drag you to that museum. No lie. I've seen it. You will love it. Well, since the Skyfall event was announced simultaneously, i have opted for that instead, as many others i think. Also i have no idea what this immersive screening is about, or if it's worth the ticket/flight/hotel costs. Plus the Info that it is in a secret location is really not that appealing when I have to plan ahead. But i would be glad if someone could fill me in on the Details (if anyone knows more) so i can make my mind up about it. What Secret Cinema do is essentially create an immersive theatre-like experience replicating key sets and scenes of the film which you then take part in. Each visitor has their own storyline or mission going throughout the evening - you get a specific original character to dress up as (eg an agent like Bond or a tech like Q) . The screening is just at the very end. I shall await this happily then. Haven't been to DC in a couple of years but the last time I was (for a hockey game), I kept eagerly eyeballing all of the museums we'd pass. @antovolk, so you essentially get to act out bits from the film before actually getting to see it. I bet it's a blast (and I see they did one for Blade Runner, I'm sure that was very exciting). Not necessarily act out, watch then being acted out by actors as the actual characters, while you're essentially a background extra :D but throughout the evening you're like in that universe, you get assigned a name, a dress code and so on, you can interact with the actors there as the film's characters. Just got my ticket this morning. Really looking forward to it. Went to the Back to the Future event a few years and had a blast. Can’t wait to see what they do with Casino! Went there back in April, awesome experience. But the exhibit ended a month or so back, if I'm not mistaken. A friend dragged me to Secret Cinema's Bugsy Malone a couple of years ago and I had a blast even though I'd never seen the film before. I'll definitely go to this one if I can afford it and it doesn't sell out too quickly. Close, I didn't realize the exhibit was closing after several years. Only a few weeks left for the museum then. Damn, what a shame that is. It’s absolutely nothing like that @barryt007. Trust me. This will be far more impressive and unique than the SF screening. Both of you should try and get tickets. You are right,i just took a look !! 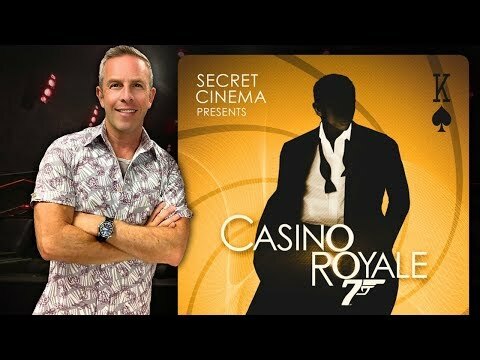 It's been a long time since I posted here, but I came specifically for Secret Cinema Casino Royale info. I will be making my first trip across the pond this summer from the US, and I saw info about this recently. I checked dates - saw they were all sold out. However, more tickets apparently were just released on presale today, and I got 2 for the last night I'll be in London. Can. Not. Wait. If you're interested and still don't have tickets, I'd suggest signing up for their email updates. Get in before tickets go on sale to the public again on Jan. 25 and the rest likely sell out.